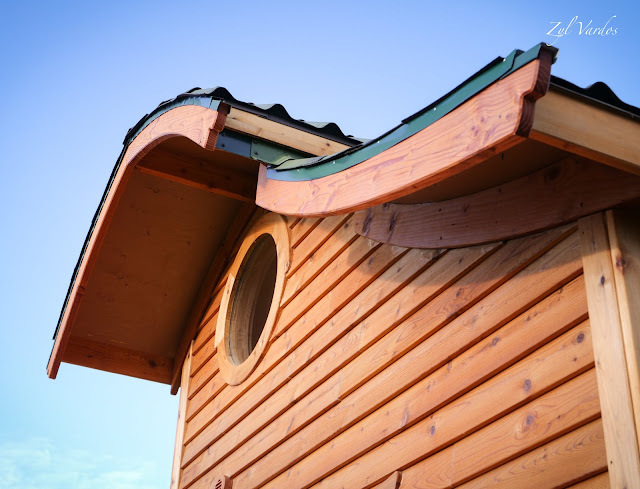 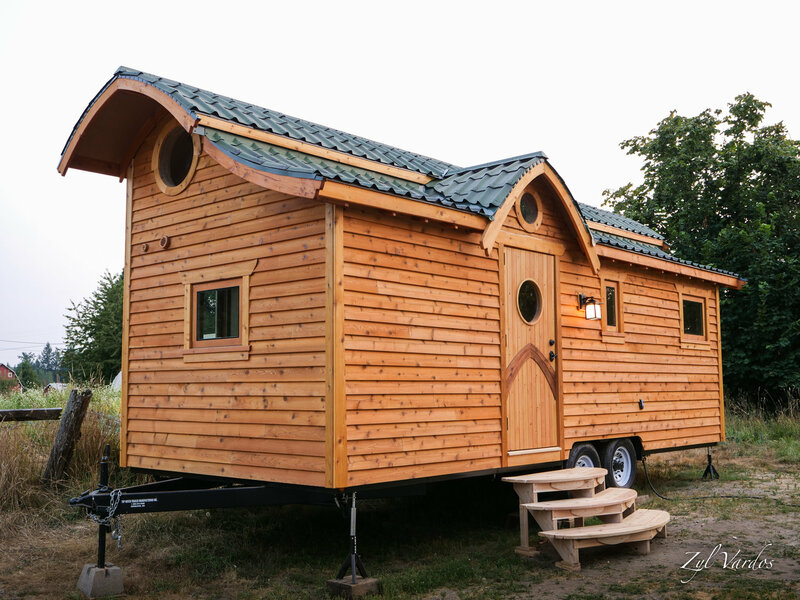 The Damselfly House by Zyl Vardos is the newest house on the block ready for purchase! 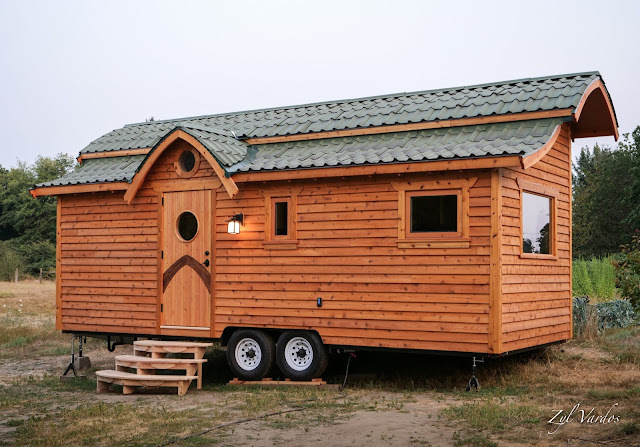 It measures 24’ x 10’, weighs 11,500 lbs. and is priced at $104,800. 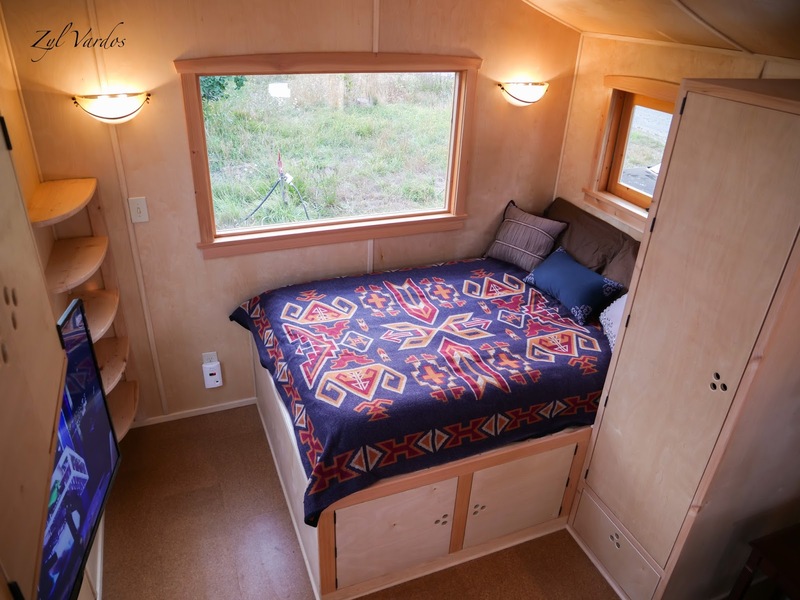 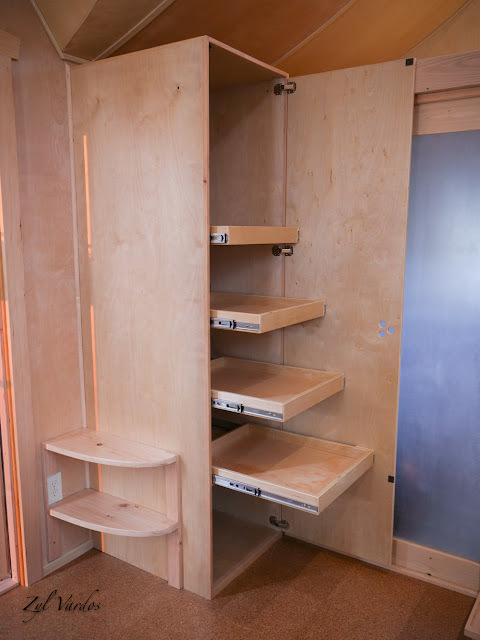 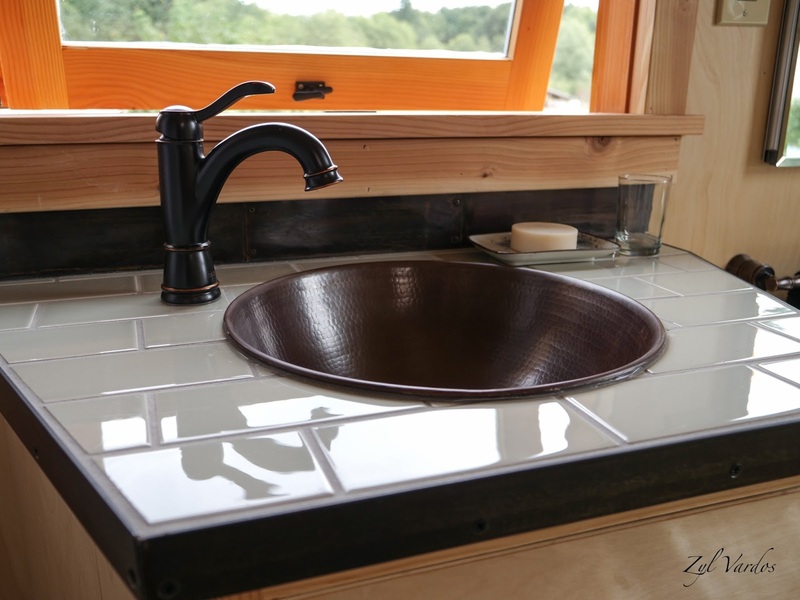 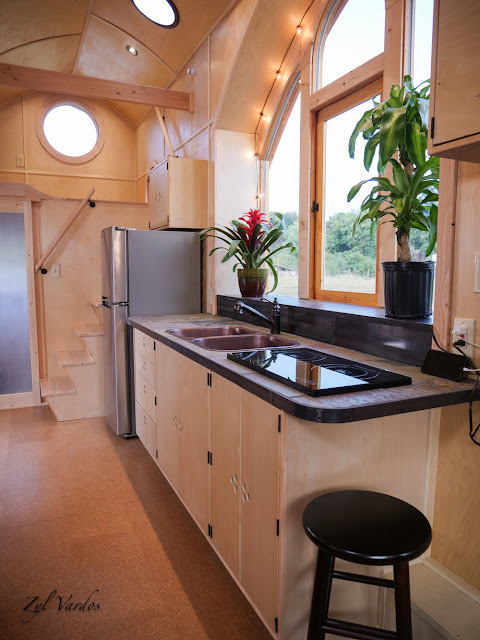 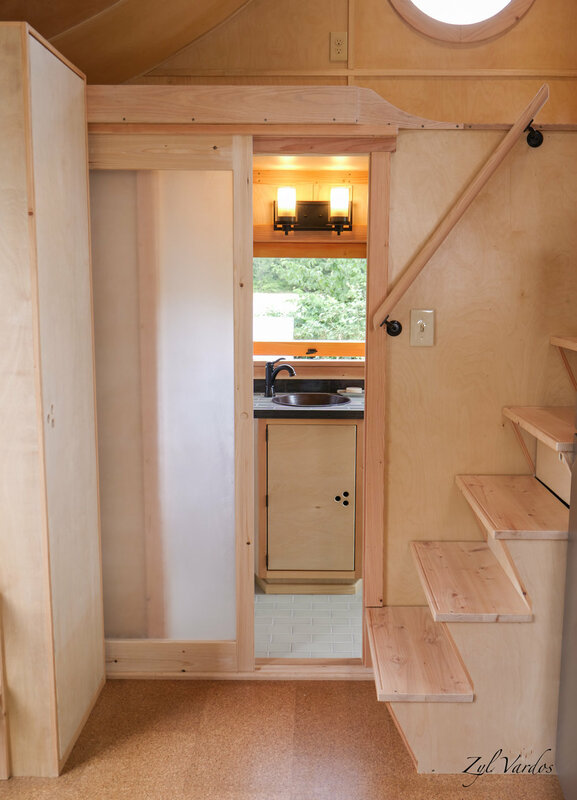 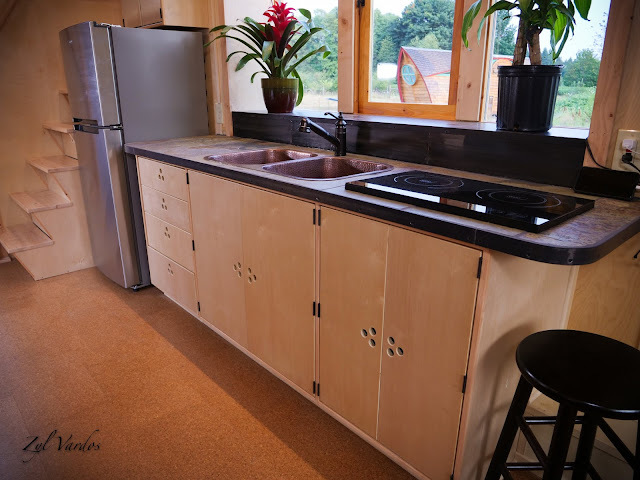 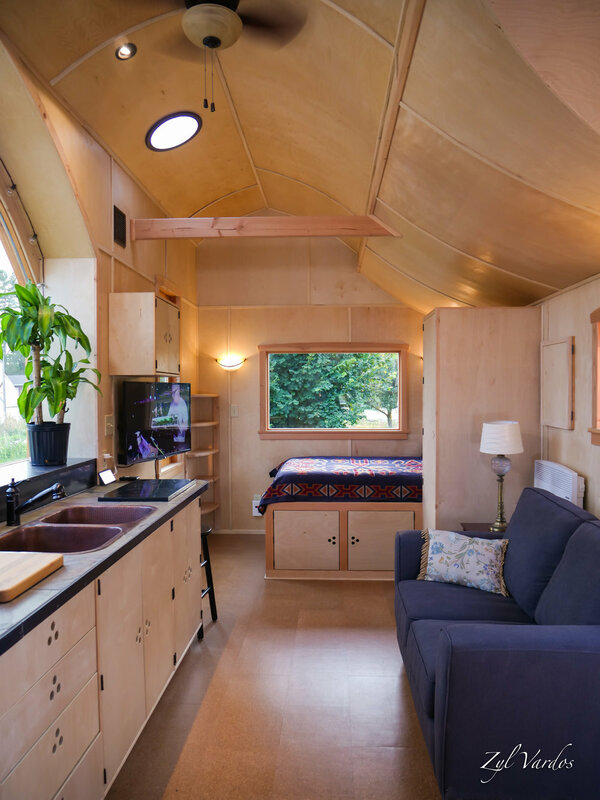 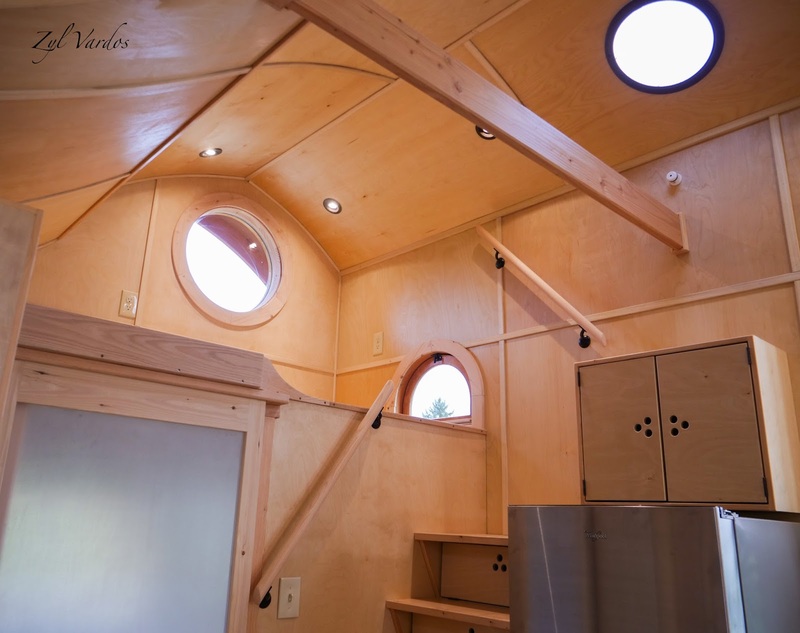 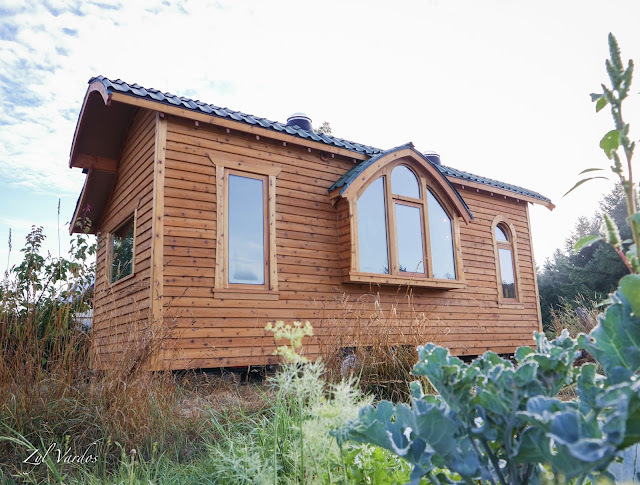 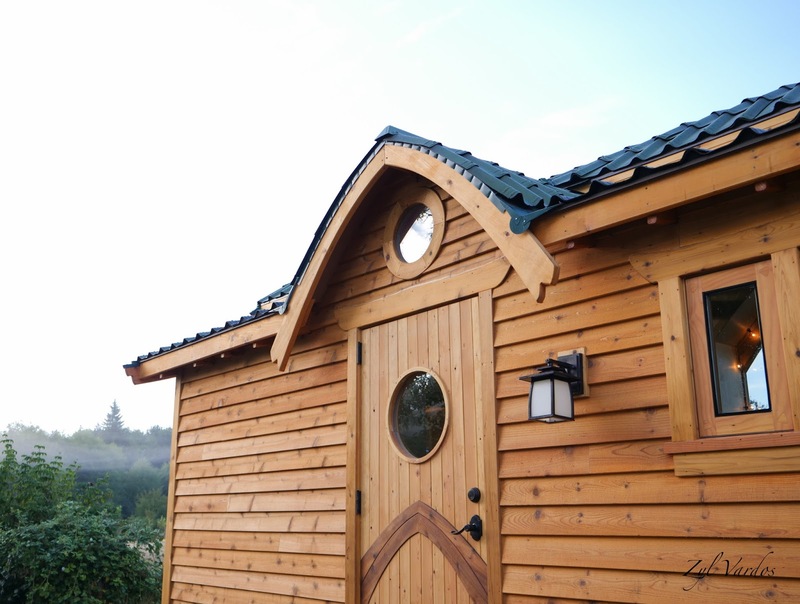 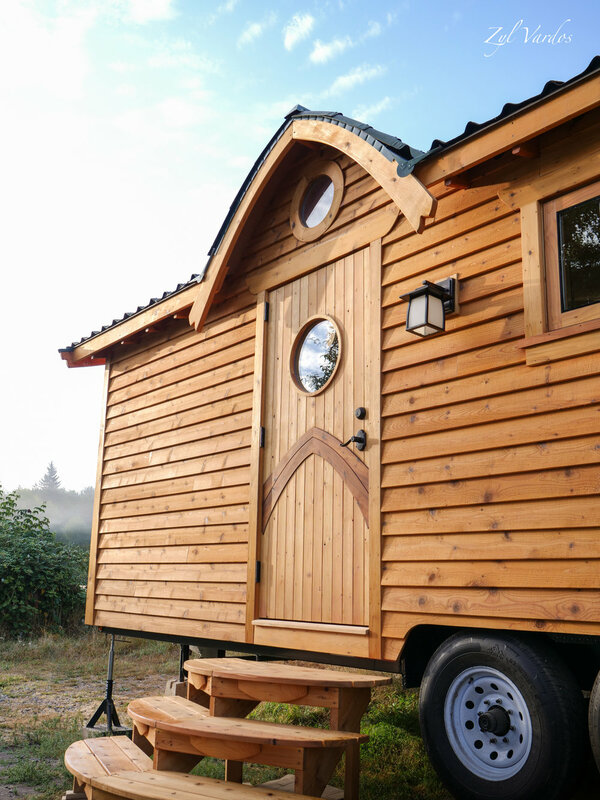 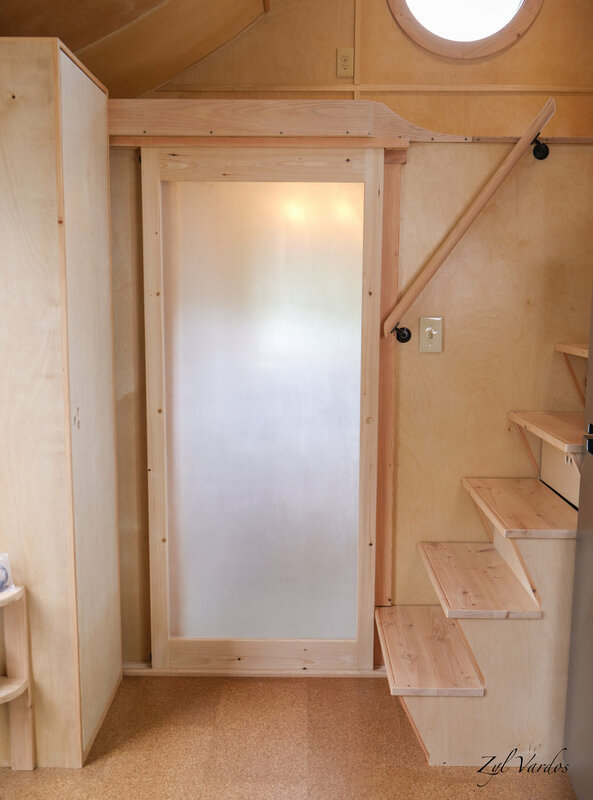 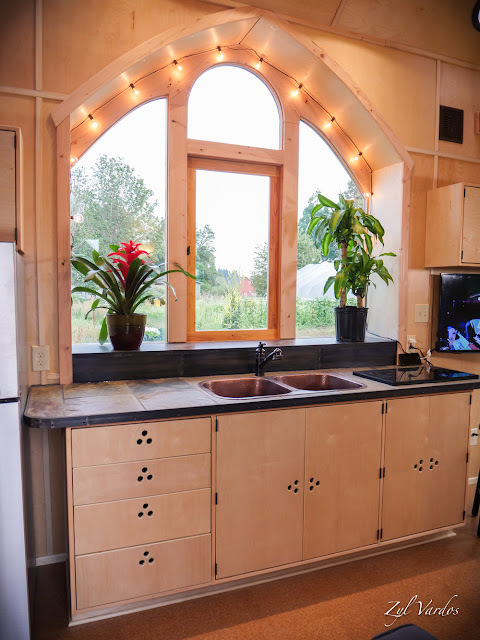 When you walk into this tiny home, you’ll be in the kitchen. 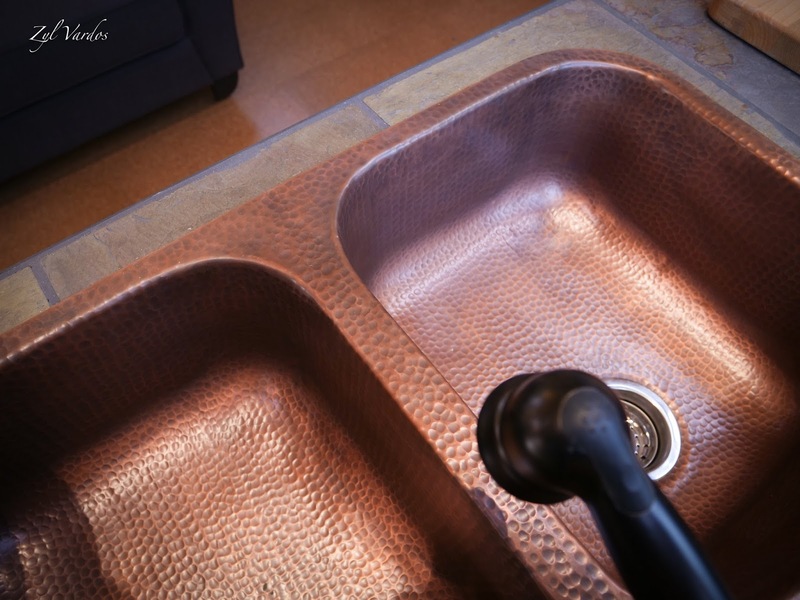 This space features a copper double-basin sink, natural slate countertop, copper backsplash with a dark bronze finish, 2-burner induction cooktop, refrigerator/freezer and light wood cabinetry. 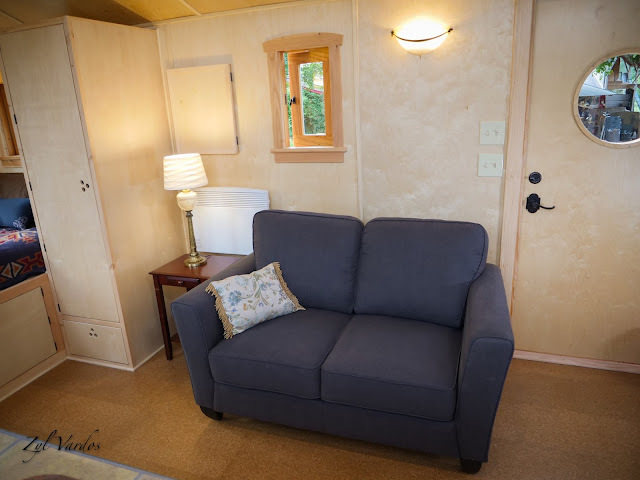 Across from the kitchen is a sofa, and to the right of the kitchen is an open bedroom featuring a full-sized platform bed. 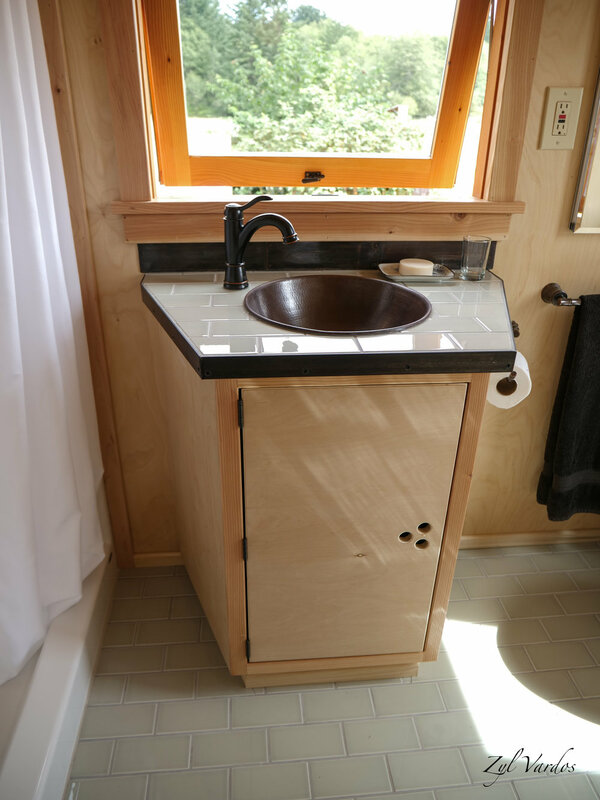 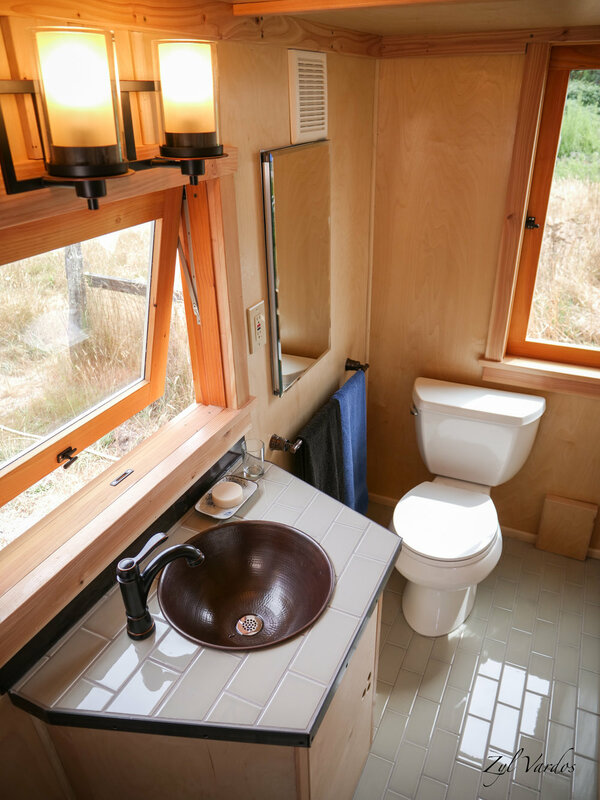 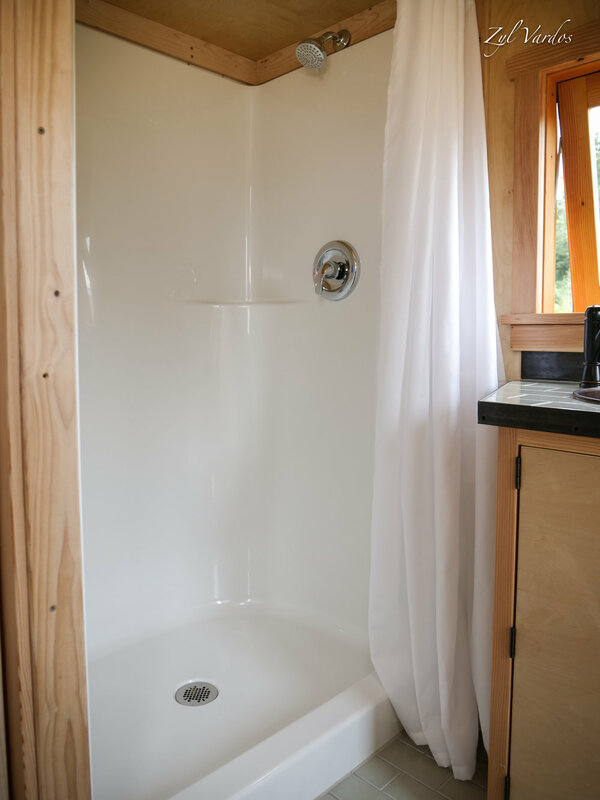 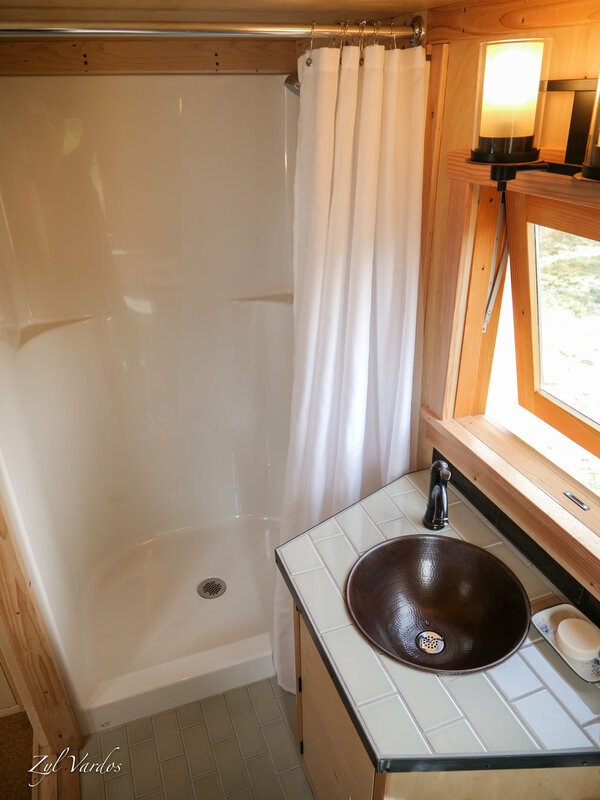 The bathroom to the left of the kitchen features a vanity with a copper sink, tile countertop, subway tile floor, walk-in shower, porcelain flush toilet, medicine cabinet w/ mirror and exhaust fan. Also, to the left of the kitchen is the staircase that leads up to the twin-sized lofted bedroom. 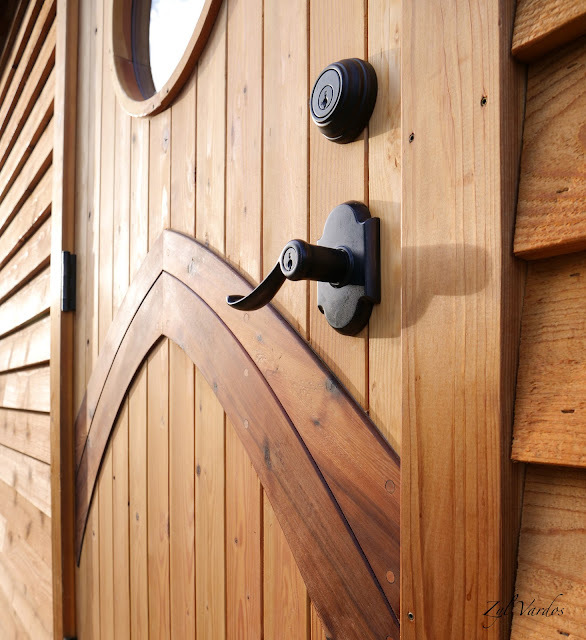 A few additional features of the home include the high ceilings and large windows that function to open up the space, and safety features such as the smoke detector and carbon monoxide detector. 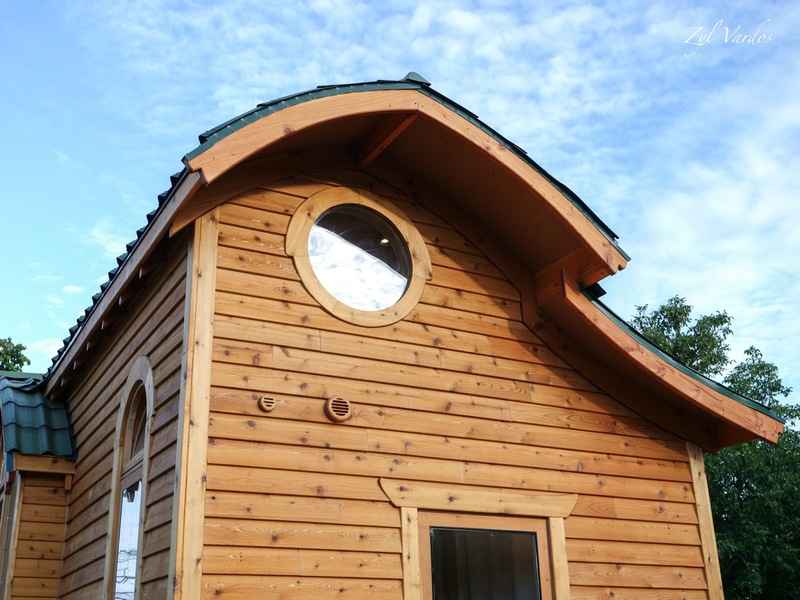 For more information on additional specifications of this home, visit Zyl Vardos' website here!